UK Financial Markets Calm in Election Storm, is the BBC Exit Poll Wrong? 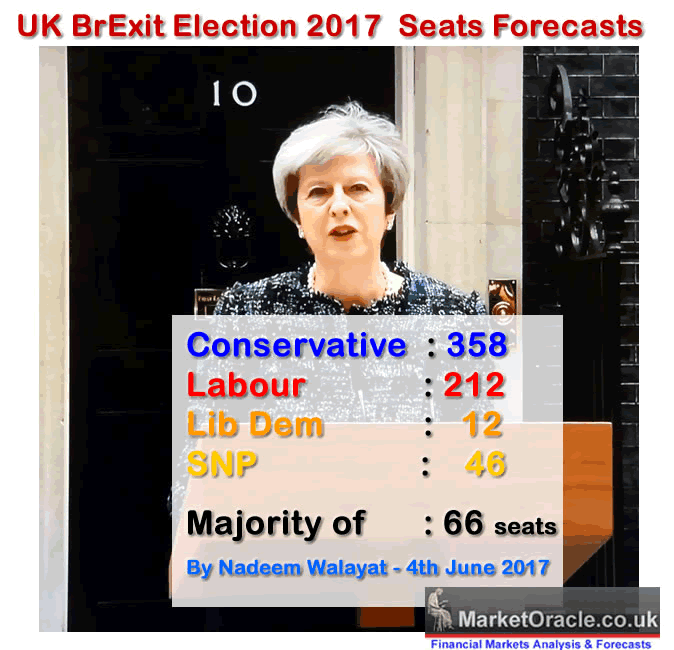 Within minutes of Britain's 50,000 polling stations closing at 10pm tonight, the BBC / ITV / Sky joint Exit Poll has been released for the UK General Election 2017 that forecasts a shock election result - Conservatives on 314, Labour on 266, Lib Dems on 14 and the SNP on 34 which implied a shock hung parliament election result that was expected to trigger market panic as happened following the EU Referendum. 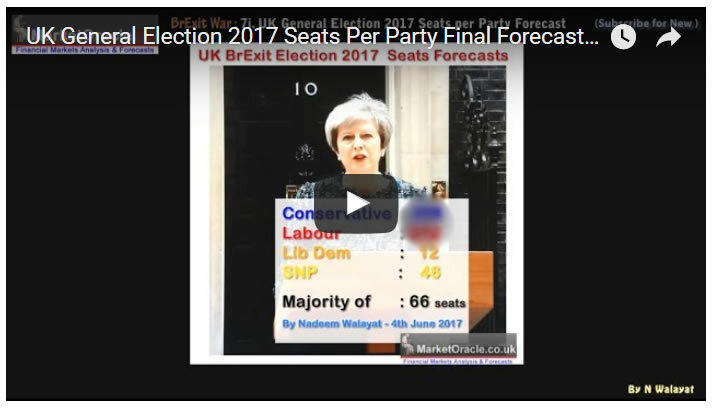 One would imagine that shock hung parliament would have thrown the financial markets into turmoil. However as of writing just past midnight, the expected financial markets storm triggered by the shock poll has failed to materialise! For instance FTSE futures are only trading about 60 points lower, less than 1% lower which is hardly a polls shock market panic. Similarly the British Pound is only off about 2 cents (1.5%) which whilst a larger reaction than that of FTSE is nowhere near on the scale of that which followed the EU Referendum when sterling literally did crash. So what are the markets saying ? 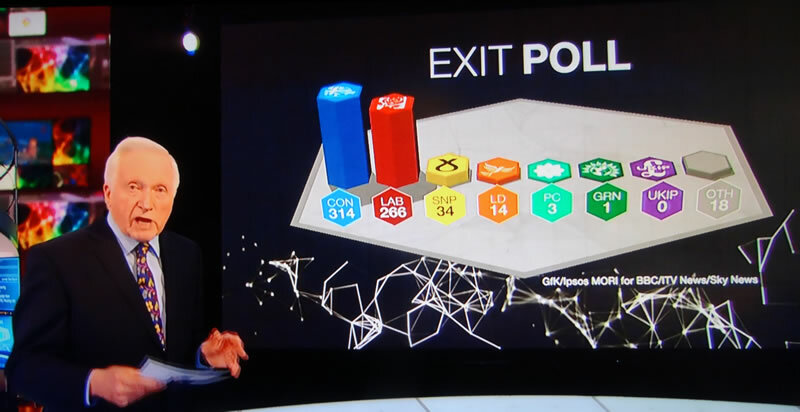 Either that the BBC exit poll is wrong OR that the markets do not really want the Conservatives to win the election as that would make BrExit less likely. And here is the exit poll set against my forecast and the last opinion pollsters based seats forecasts.